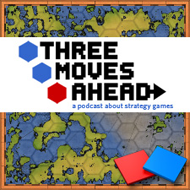 Flaky hardware means low internet activity today, so the new episode of Three Moves Ahead – with special guest Brad Wardell – will be a day late or so. Gamespy is reporting that one of the great little games of the last few years is on its way to my mobile platform of choice. No publisher yet, but I really hope Introversion can find one. Defcon would be the perfect airplane game.